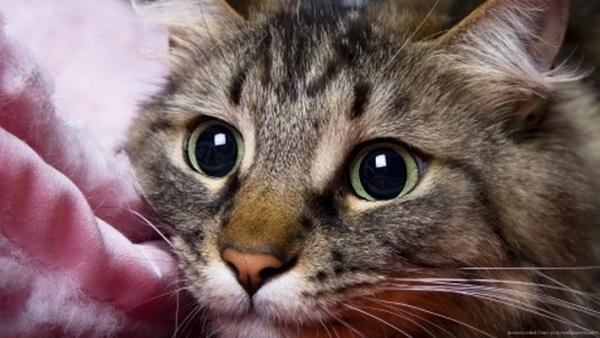 Cats are irresistibly sweet but sometimes their behavior irritates us completely. However, it turns out that their sometimes annoying behavior is one way of showing us their genuine affection. Here are the ten ways in which your cat says: "I love you!". You are resting on the couch with your cat. You start to pet it and it suddenly attacks your hand. Does this ever happen to you? Don't worry. 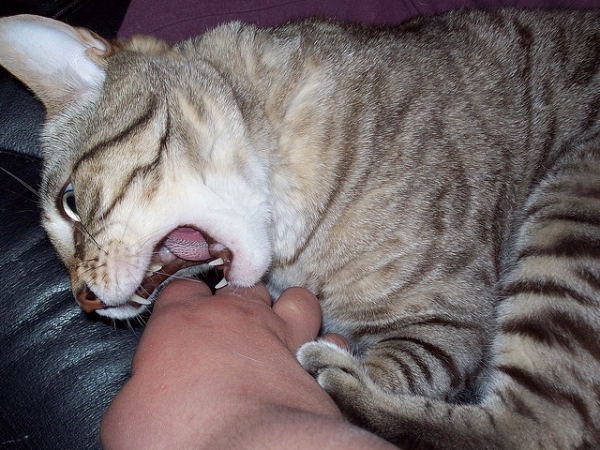 Snacking or "biting out of love" is just another a bit strange way of your cat showing affection. It only wants to play in an “animal style”. 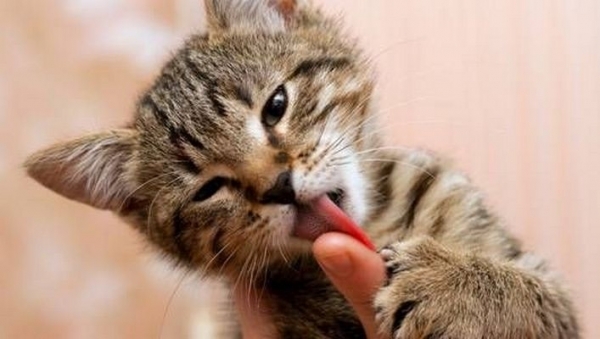 Cats sometimes mutually "wash themselves", and they can only do that with those cats they adore. By licking themselves cats remove all dirt from their fluffy body, so there isn’t a need for an extra bathing. Unlike dogs, they are much cleaner animals, so if you better think about the fact why they don’t like water – here is the answer. When the cat licks its “favorite human being" it leaves a scent and marks you as a part of the family. This is a sign that you are seen as a friend and that being close to you makes it feel safe. 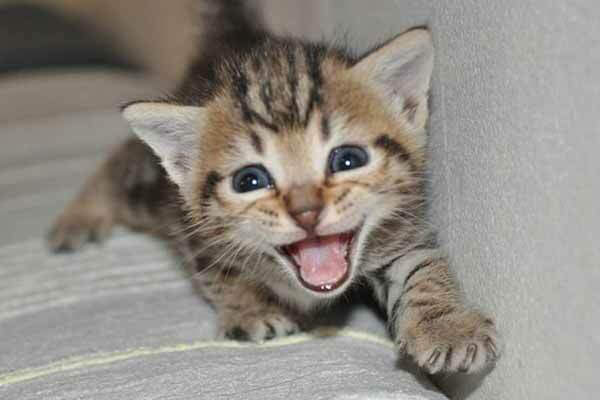 Meowing can sometimes be very sweet, but sometimes cat’s vocalization can develop into an irritating one. The fact is that they do not want us to freak out but only to talk to us. Cats do not communicate with each other by meowing, but only with people. When the cat feels there is a danger in the air, it can also meow very loud and that’s its way of notifying. When a cat is stomping certain parts of your body as if it "kneads" you it thereby expresses its deepest sympathy and love. This behavior is actually instinctive from the earliest period when kittens’ paws stimulate the secretion of milk of their mother. Adult cats continue with such behavior when they feel most relaxed, happy and loved. Do you sometimes have the feeling that someone is watching you? You turn around and see your cat staring at you with eyes wide open. It blinks once slowly and keeps watching you. Although it may seem daunting, in fact, you have a rare privilege. Cats make eye contact only with people they trust. And when the cat blinks, it is, in fact, sending you a kiss. Blink her back in return!